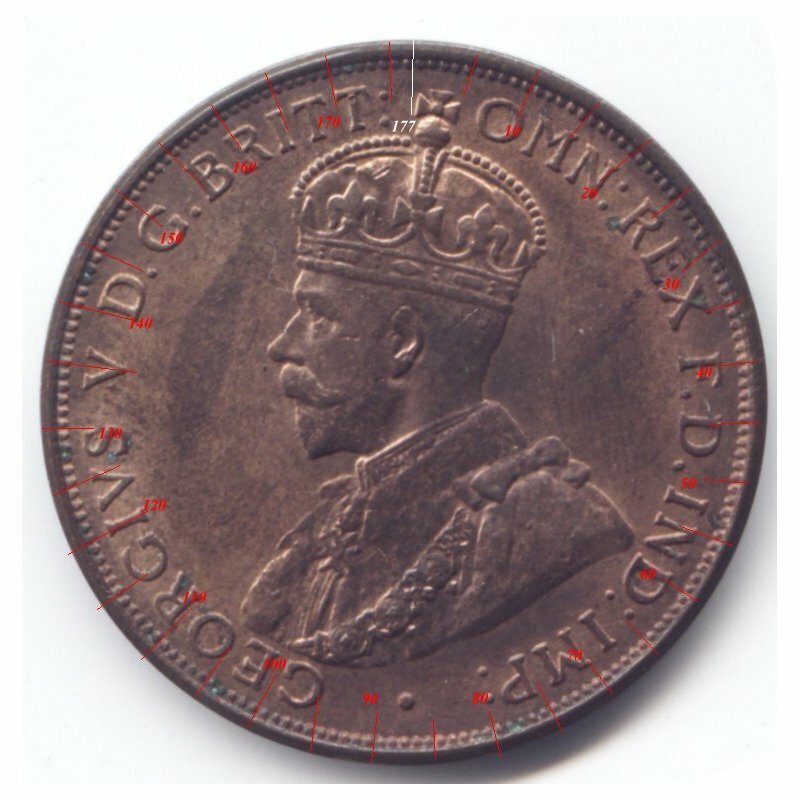 One of the things a numismatist will look for are small changes in a coin's design. 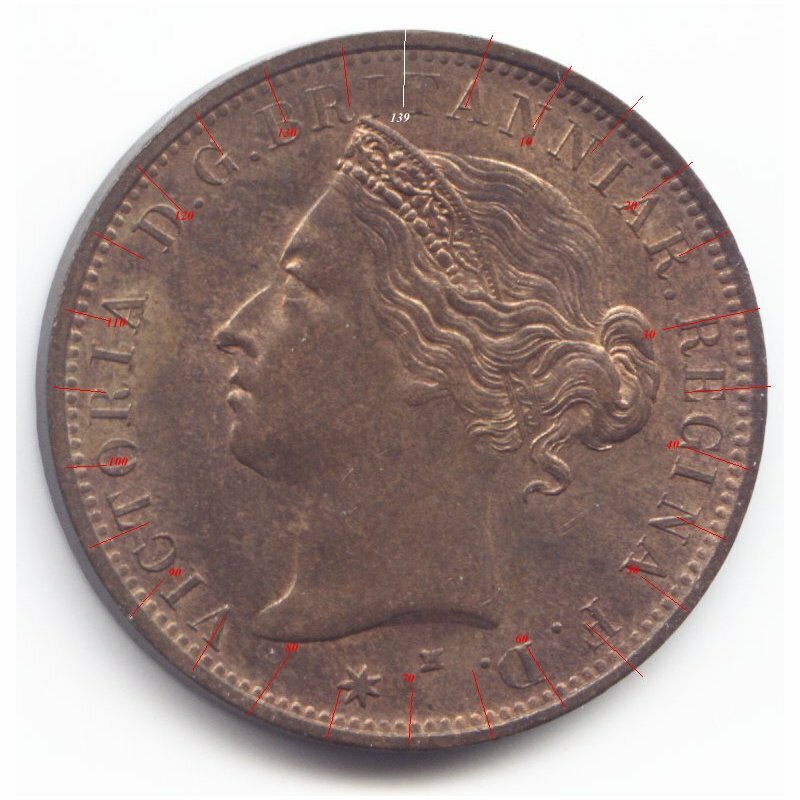 One method is to compare the denticle count on similar coins. 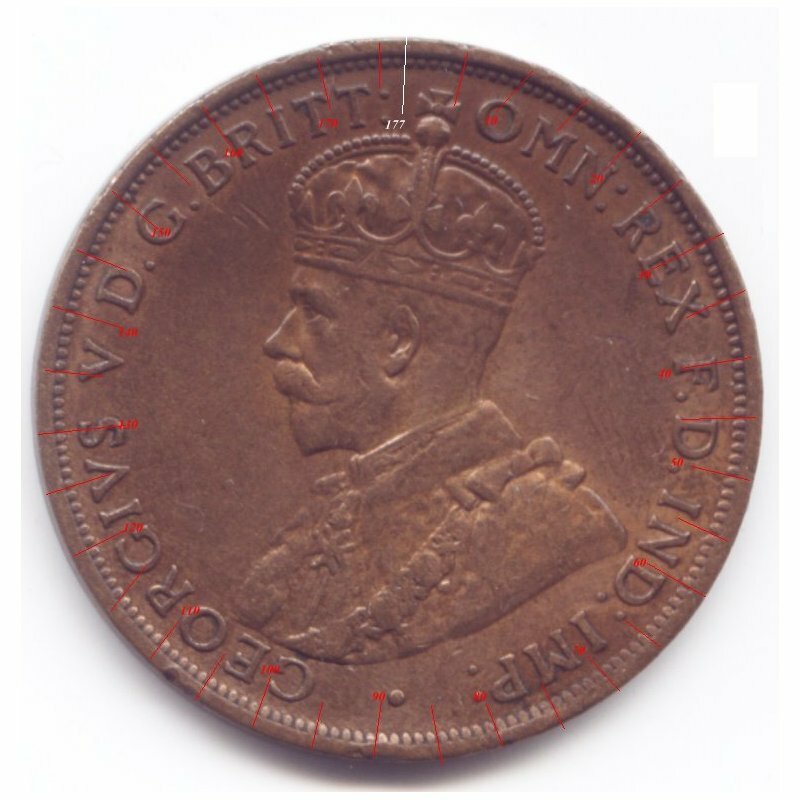 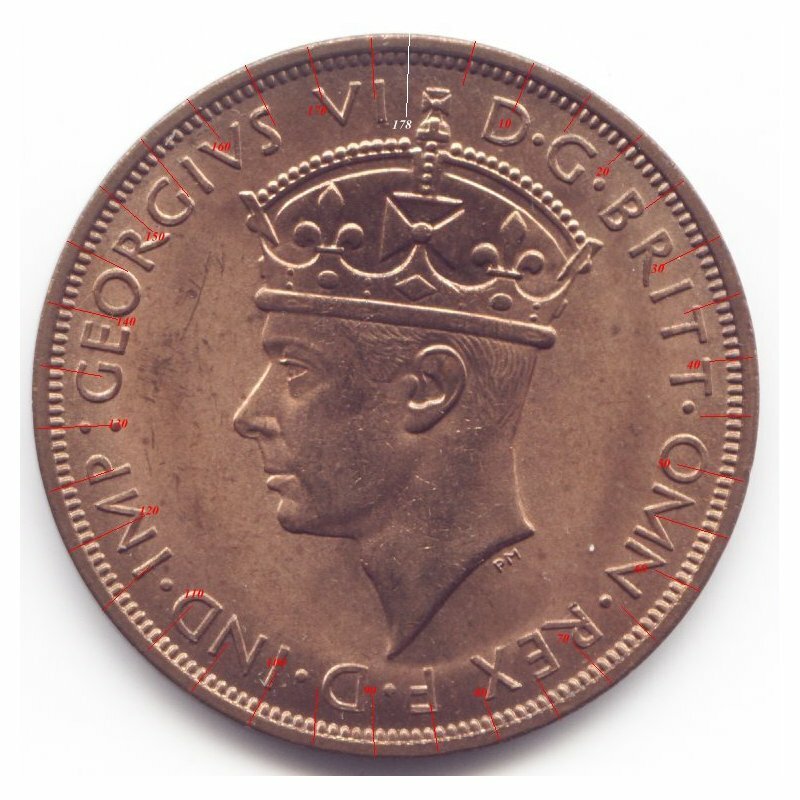 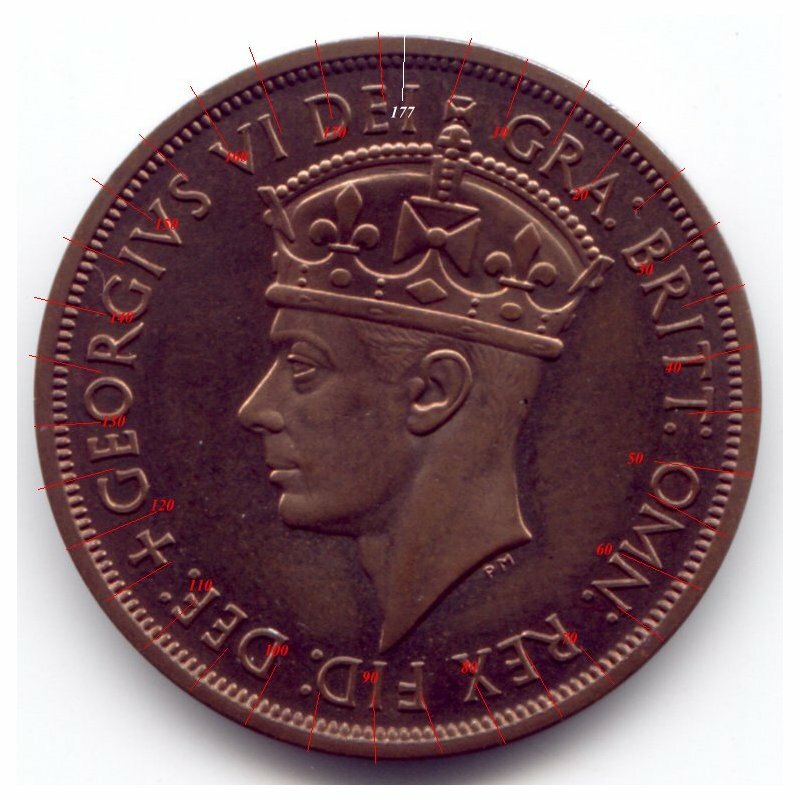 By doing this, we see that there are two different obverse dies for the 1933 Jersey penny. 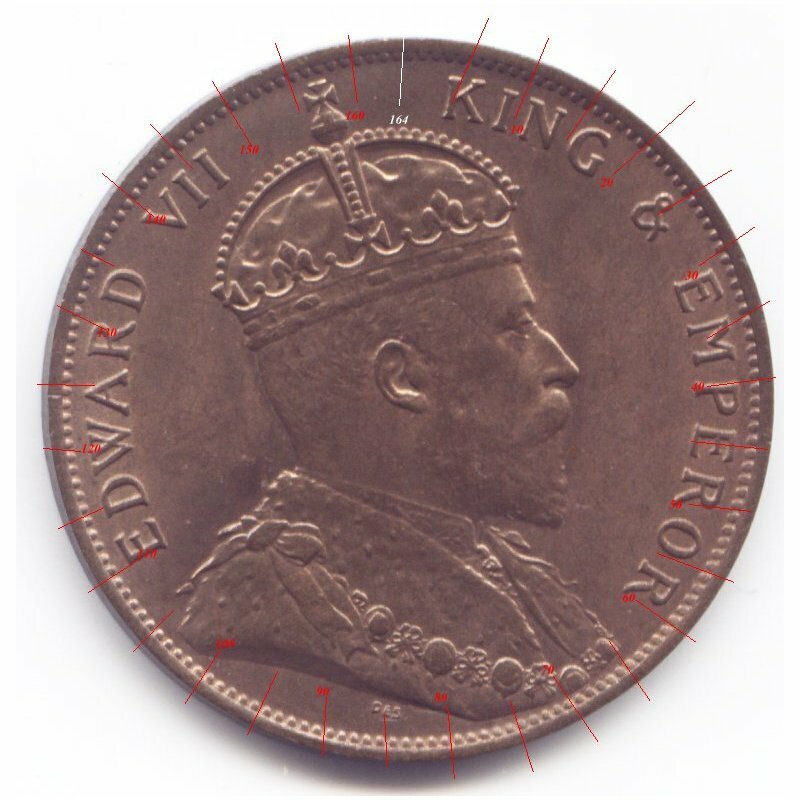 These two dies are better known as the English and Indian dies. 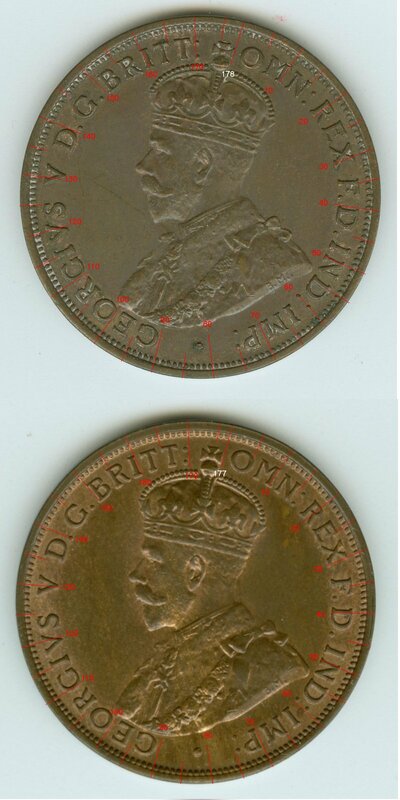 English (London-177) obverse and the Indian (Calcutta-178) obverse dies.